The annual Taste of Vintage Redlands will take place from 3 to 6 p.m. Sunday (April 30) in downtown Redlands. 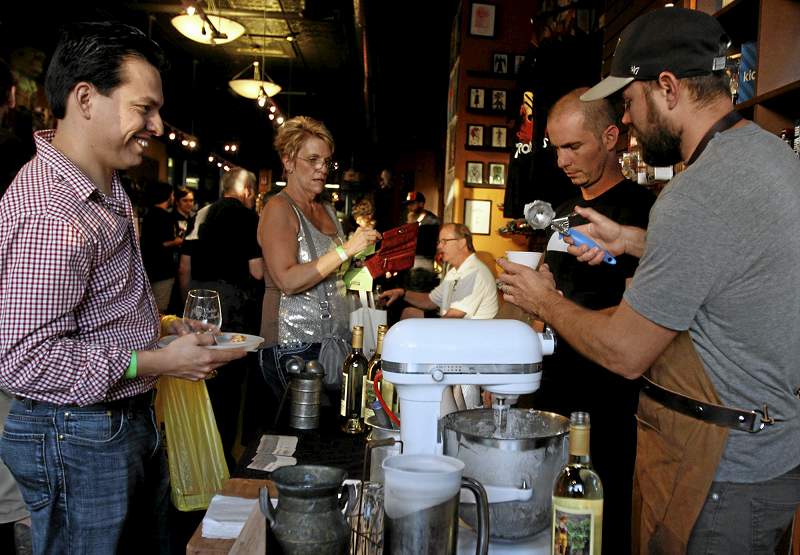 Participants will sip local beer and wine while sampling food from local restaurants and caterers. Participating food vendors include Cheesewalla, The State, Gourmet Pizza Shoppe, Oscar’s Mexican Restaurant, La Volata, à la minute, Muffin Top Bakery, Street Tacos, Darby’s American Cantina and Spencer Readman Catering. Beer and wine from State Street Winery, Ritual Brewing Co., Ascension Wines, Regal Wines, Escape Craft Brewery, Korbel, One Hope Wine, Snowline Orchards and Winery, Hangar 24 Craft Brewery, Opolo Wines, Mankas Hills, Wiens Cellars and Little Black Glass will be available. Tickets are $50 (plus a $2.50 service fee if purchased online) and are available at the event’s website or at Citrograph Printing Co., The Gourmet Pizza Shoppe, J.D. Myers and State St. Winery in downtown Redlands. Proceeds will benefit the Citrograph Scholarship Fund, part of the Citrograph Foundation, that provides scholarships for college students majoring in business, music and graphic design. This entry was posted in Redlands and tagged beer events, fundraisers, wine events by John Plessel. Bookmark the permalink.